I have been reflecting on Bob’s message last week from Luke 16:1-13 on the parable that Jesus shares about the actions of the dishonest asset manager and how Jesus uses this example to show us that we need to look for the good and the Divine in people over the evil and negative. Wow - this is a hard lesson and path for me to follow. My tendency is to take one or two traits that bother me about someone and then make sweeping generalizations that separate and divide and put us all into limited corners of labels and classifications. I was reminded of this last week as I hosted a new attender dinner along with several members from the Meeting. We went around the table to share part of our faith journey to First Friends. Several in the group were raised Catholic and I shared my story of being raised as a fundamentalist Nazarene, attending a Baptist high school in Detroit. I shared that Baptists don’t believe Catholics are Christians. I was challenged by someone raised Baptist that she was not taught this. While I was taught this theology at my Baptist high school, I certainly should never say that all Baptists believe this. We are all complicated, full of contradictions, believe many things and one or two labels can never define us. I am a conservative, liberal, Christian, Quaker, mystic, woman, mother, wife, widow, sister, minister etc. Not one of these identifications can adequately describe me and yet I too often want to attach one or two words to put my friends and enemies into certain camps. It is so easy to define the world this way. But Jesus life and example shatters this separation apart and tells us that gender, class, status, religious upbringing mean nothing and that the path of joy, oneness with God and the idea of creating the kingdom of heaven here on earth is about loving each other beyond our labels and categories. My mother, during the last month of her life at 95 years old shared some wonderful advice to me. She said, "I am more interested in loving a person for who they are and forgiving them for who they are not.” May our eyes see the Divine in each person we encounter this week, and may we offer grace, love and forgiveness. Ruth K has an exhibit of her photography currently displayed at the Hatch at 6161 N Hillside Ave, Indianapolis. The hours are 9:00- 5:00 Monday-Friday. http://www.thehatchcreates.com. Congratulations, Ruth! Jesse Brown is the husband of Hope and father of Grace, Isaac, Eden and Cana Brown. Originally from Akron, Ohio, Jesse graduated from Valley Forge Christian College in 1997 and Eastern College in 1999. After he and Hope married in the summer of 1999, they moved to Huntington, Indiana where Jesse served as a member of the student development office of Huntington College. 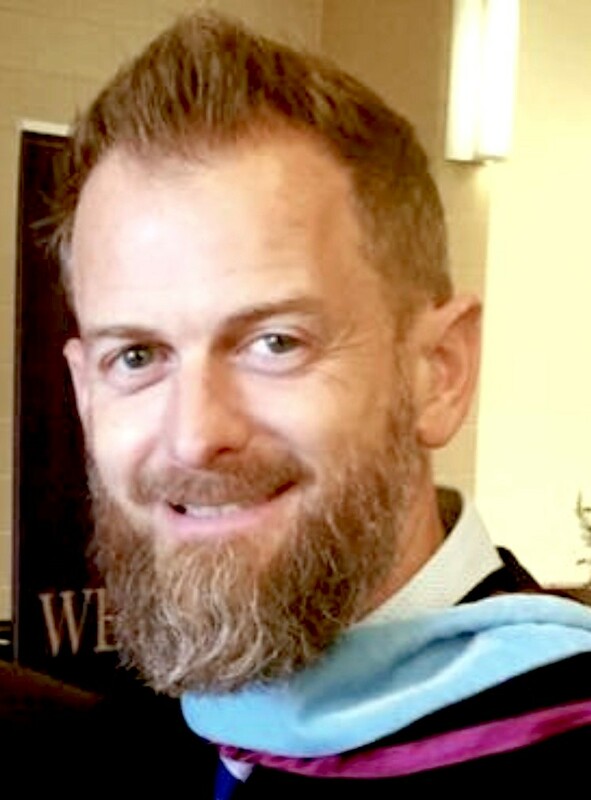 After eighteen years at Huntington, Jesse moved to Upland, Indiana where he currently serves as the Dean of Students and Title IX Coordinator at Taylor University. Jesse is currently working on a PhD from Indiana State University. His dissertation is exploring critical consciousness of white students attending a Christian college. For recreation, Jesse enjoys poetry, working outside in the yard, hobby farming, following Cleveland sports and running. Sunday School Kick-Off! Our Sunday School kick off will be on September 9th. We will start the morning with breakfast for everyone in fellowship hall at 8:30. We encourage everyone to come in their pajama's! Our classes will begin at 9:00 a.m. Keep an eye out for more details on this fall’s class offerings! In preparation for the end of the growing season, Garden Committee articles in recent Friend to Friend issues include herb drying, storing excess root crops, disposing of spent crops, planting late crops, planting cover crops to overwinter and making homemade cloches. To refer back look under the attenders section on indyfriends.org. Last week’s suggested cold weather crops included microgreens, Swiss chard, and hearty salad leaves. More specific suggestions include upland cress, cornsalad, spinach and leaf lettuce. It is not too late to plant radishes, asparagus and rhubarb. The latter two are perennial crops and require extra attention to detail if plants are to become established and live 10 to 20 years. A method to improve soil is to plant cover crops from mid-August to mid-September. Living roots build organic matter, supress weeds and create biomass. Oats will provide mulch and nutrients. Cover crops grow until cold weather comes when winter may kill them. If not, cut growth at the soil line or till the vegetation into the soil. Till or spade the earth before scattering seed, then lightly rake and leave the mixture on top. Protect the area from wind and rain by applying loose straw. No-till gardeners can plant vegetables in the spring and leave the cover crop. Example cover crops include oats, rye, hairy vetch, clover and buckwheat. 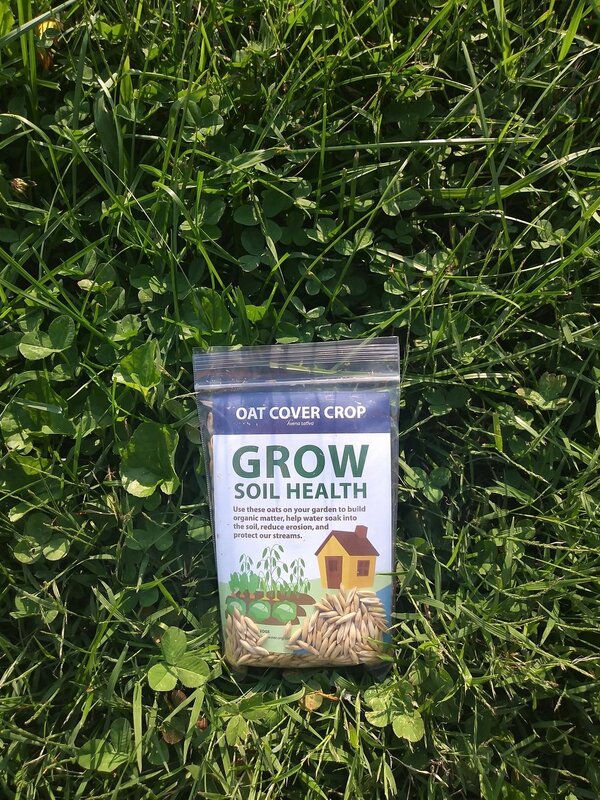 Gardeners can obtain up to five free packages of oats at the Indianapolis Public Library Reference Desk, Glendale branch. One package covers 100 square feet. Please put chopped up spent crops in our compost bin. This speeds decomposition. Crops should be disease-free. Shredded leaves, tea bags, eggshells and coffee grounds may be added. String trimmer or lawn mowers set for mulching can be used to chop. Put unsuitable vegetation, including weeds, in the blue trash bin or in the brush pile east of the water tank. Our garden policy rejects the use of animal manure due to its strong connection to pathogens. The compost should be turned once a week for it to be spreadable and it must register over 130° F for a minimum of five days to kill pathogens. We will use our compost in the spring. A Community Garden work day will be announced soon. School Supplies Donations Needed ~ John Strange Elementary School (on 62nd St) is looking for assistance with certain school supplies for its teachers. The items needed are: 1) Ticonderoga pencils, 2) disinfectant wipes, 3) hand sanitizer and 4) Kleenex. Donations can be made in Fellowship Hall in the box on the stage. Thank you.